No matter what activity you enjoy, there is a forest that is perfectly suited to you. You can do all types of activities, from canoeing to mountain biking. Rolling hills and moss-covered rocks create a tranquil and relaxing environment. White-tailed deer and beautiful birds are sprinkled throughout the countryside. If you need an adrenaline rush you can always bring your mountain bike. There are some amazing trails that are a lot of fun. You can catch some serious air and enjoy the beauty of Mother Nature. There are also plenty of water sports to take advantage of. Join the canoe club or get a relaxing paddle board trip in. These forests have a combination of features that make them unique. This forest has some great trails for everyone. You can go for a relaxing walk and feel the harmony this forest projects. This is also the mountain biking capital of England. You can enjoy the miles of trail no matter what level of rider you are. One thousand hectares of riding land is filled with high-flying jumps. You can get any last-minute necessities at the new bike shop and café. There are also playgrounds for the children. This is a beautiful forest that has a plethora of activities to keep you entertained. This forest is a beautiful short-break destination. This national park has everything you could want as you can camp outside or enjoy the luxury lodges. There is a huge range of sports. Bike trails run throughout the entire woods. Treetop adventure high ropes let you traverse the tree tops with safety and ease. There is even a steam railway which you can catch for a ride through the forest and get a quick view of the scenery. Clearwater caves are another attraction to this beautiful forest. These caves are over 100 ft. deep. You can spend an afternoon exploring the caverns. Lots of wildlife and beautiful scenery make this forest a smart choice for one of the best English forests. The rolling plains of the New Forest make this national park the perfect home for wild horses and donkeys—the wildlife selection is amazing. This forest is famous for wide-open views and breathtaking tranquility. This forest became a national landmark when William the Conqueror claimed it as his royal hunting forest in the 11th century. He kicked the peasants off the land and walled it in. This land is now a national park that extends to the coast. There are many historical features to add interest to the skyline. Thousands of deer and cattle roam free, and you can get any supplies or a bite to eat at the shops. There are a couple of kinds of trails including some fast and fun mountain bike trials. This forest was beautiful enough to be claimed by a king. The views are amazing and the wildlife is abundant. No list of English forests would be complete without talking about the world-famous Sherwood Forest, where Robin Hood and his merry men became legends. 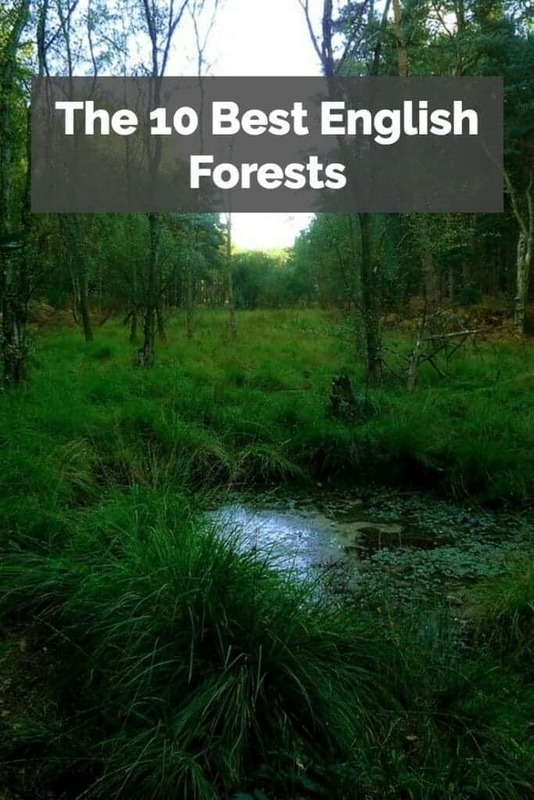 This is the largest forest open to the public in the East Midlands. There are great mountain bike trails like Kitchener Trail. There is also a jump park. You can get top quality lodges and there are live concerts on selected dates. The tree lines let you live life like Tarzan. This forest is fun for any age. This forest is tucked away close to the Scottish border. Kielder Water is the largest man-made lake in England. There are lots of red squirrels, deer, and wild birds. The souvenir shop has everything you need. Many people go to this park for the fishing. This forest is Ideal for relaxation and outdoor activities. You can also enjoy the water sports, or walk or bike ride the miles of trails. You can even play mini-golf and have fun with your children in the children’s play area. This beautiful forest is situated close to the ancient town of Marlborough. This forest covers 20,750 acres of wooded land that is perfect for camping or hunting. Ancient trees are dotted throughout the landscape. Some of these ancient trees have been dated to 1050 AD. This forest is privately owned, but access is permitted 364 days per year. One day a year it is closed to maintain its privately owned status. This beautiful forest is full of beech and oak trees. Stunningly beautiful views are around every corner and enchanting ferns grow everywhere. Make sure to see the King Oak. This wonderful forest feels enchanted and is sure to please you. This forest is filled with beautiful rolling hills. The nature of the forest is subject to more weather diversity. You get months of snow and ice, which creates a greater diversity of wildlife. There is a fishing village clustered around the harbor where you can get a picture-perfect view of the harbor. There are some waterfalls and gullies that intertwine with the trails. This forest is a treasured corner of North Yorkshire. Few places can compare to the beauty of Epping Forest on a sunny day. You can roam around for hours. There are beautiful streams that immerse you in tranquility. In spring, the flowers are amazing. The thick forest is home to lots of wildlife. Make sure you don’t forget to visit Hangman’s Hill. This famous intersection got its peculiar name because if you put your car in neutral, you roll up the hill—just another cool reason to visit this beautiful English forest. This stunning forest is known for it white deer and stunning sunsets. Rolling fields and forest surround you at this beautiful location. There are some nice hiking and bike trails. A yearly charity run also is a great reason to visit. There are an off-road racing event and a canoe club. All this, plus a tree park that lets you safely traverse the tree tops and get breathtaking views. This relaxing retreat is perfect for the entire family. The woodland trips for children teach them how to build wigwams. You can even get a Segway tour. This is a very dog-friendly environment—everybody walks their dogs here. The sandstone trail is 34-miles long and it follows a ridge of fantastic sandstone. It is very flat terrain, perfect for walking or riding. There is also an ancient settlement from the iron age deep in the forest. 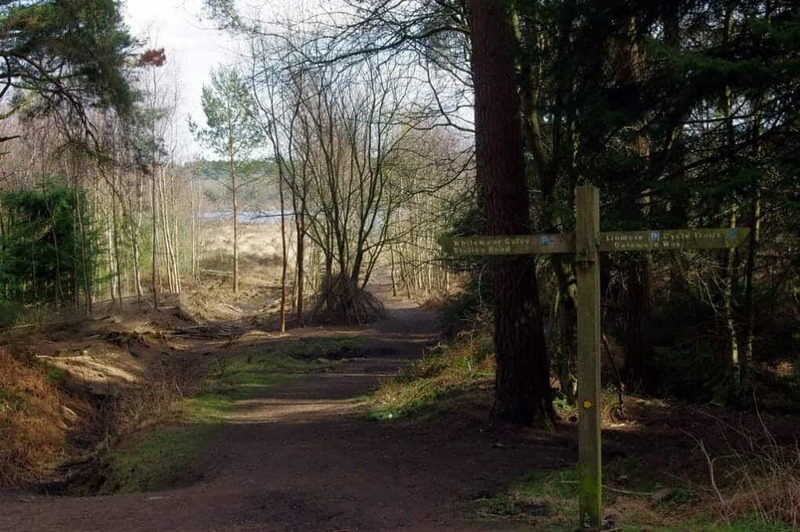 All of these things will make Delamere Forest one of your favorite English forests.